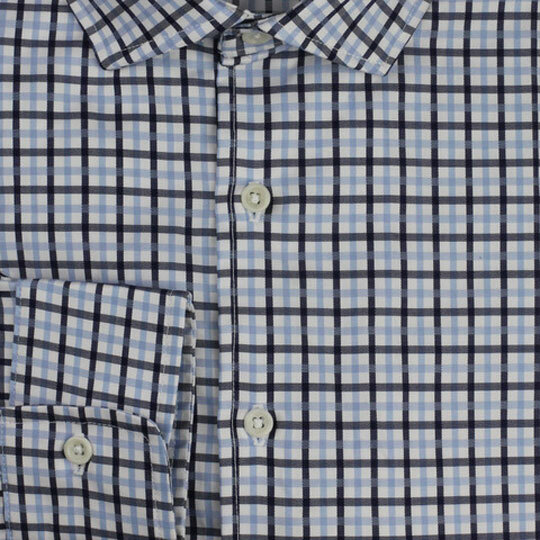 California brandTaylor Stitch give us this blue box check shirt with an English cut spread collar. 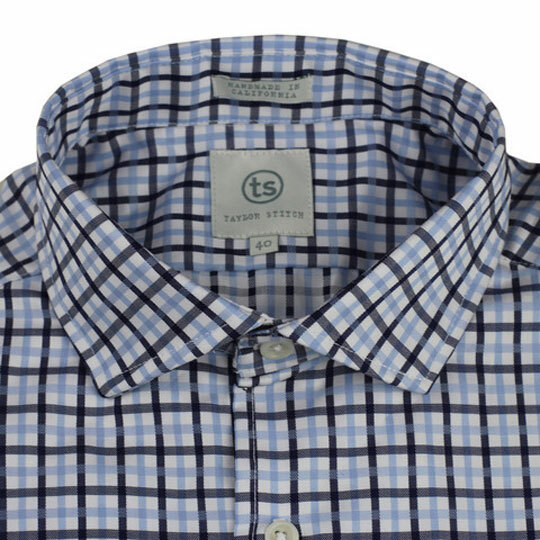 All the Taylor Stitch features you’d expect from these guys are present: double stitched button holes, french seams, collar bones and a whole host of other bits n’ pieces that elevate these shirts above the usual offerings. 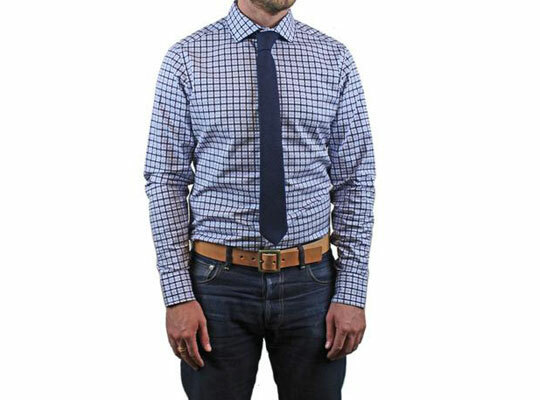 This entry was posted in Dress Shirts, Tops and tagged English Cut, Taylor Stitch. Bookmark the permalink.